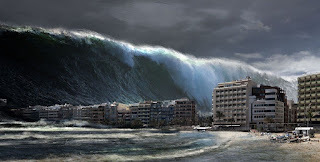 Our favorite North Carolina political blogger, Thomas Mills -- who's also a candidate for Congress from the 8th Congressional District -- is using the "T word" -- tsunami -- to suggest what's about to happen to the Republican Party via Donald Trump in this Year Of Our Lord 2016. 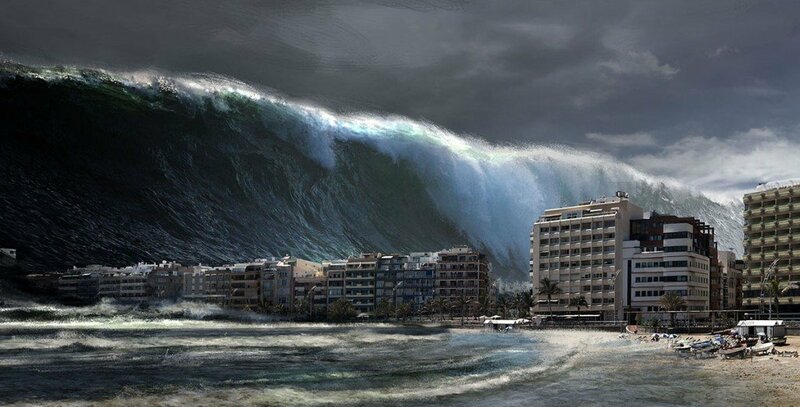 Tsunamis, they say, can be deceptive. Out in the deep ocean, travelling at 400 to 500 mph, they may appear on the surface to be nothing more than just a large swell -- like the wake of a large ship. While sensors can estimate the wave's size and power, it's true destructive force doesn't become visible until it reaches shallower water and all that energy is compressed and forced towards the surface. Then it hits, at which point the last place you want to be is on the beach. But this year, the political tsunami that Donald Trump has perhaps caused for the GOP seems very visible to most political observers, despite the fact that it still has months to reach land. The only people who don't seem to notice are the Trump rally-goers, like the ones recently recorded in Greensboro, or Donald Trump himself. Long may they turn a blind eye! But if I were them, I think I'd be stacking my deck chairs and looking for high ground. I hope Mills is right. But there is a rage in the ranks that defies all logic. For decades, GOP has leveraged rage and racism to influence voters. And Trump's angry racist rants seem to be falling on fertile American soil. AppState to Bill Aceto: "Where's the Beef?" Quick! What Rhymes with 'Nexus'? "Renee Knows How To Do It"